Welcome to Eternity – the diamond ring specialists in Hatton Garden, the jewellery quarter of London. 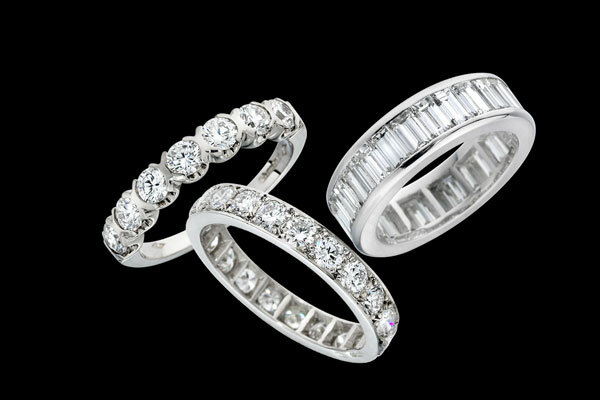 They are at number 106 Hatton Garden, and they specialise in the design and manufacture of a wide range of diamond rings. Each design is available in platinum, and 18 carat yellow or white gold and all are made in their own workshops in Hatton Garden. The Eternity collection includes solitaires, Trilogy 3 stone rings, clusters, diamond set half and full eternity rings, wedding bands and a variety of individually designed cocktail rings. But for those people who want something different, Eternity offer a full bespoke service to design and make the ring of your dreams.